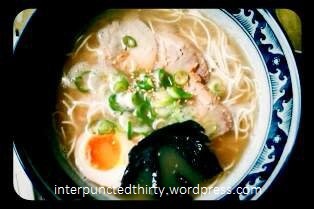 Since writing this post, I’ve come to realise that I may be slightly obsessed with ramen ever since watching Tampopo not so long ago. This post is dedicated to the humble, wholesome, and super delicious Japanese dish. I’m no ramen expert, but I judge the quality of the ramen by the consistency and taste of the broth. The essentials (according to my own tastes) are nori, pork slices and a boiled egg on top of the noodles and broth, anything else is a lovely surprise. 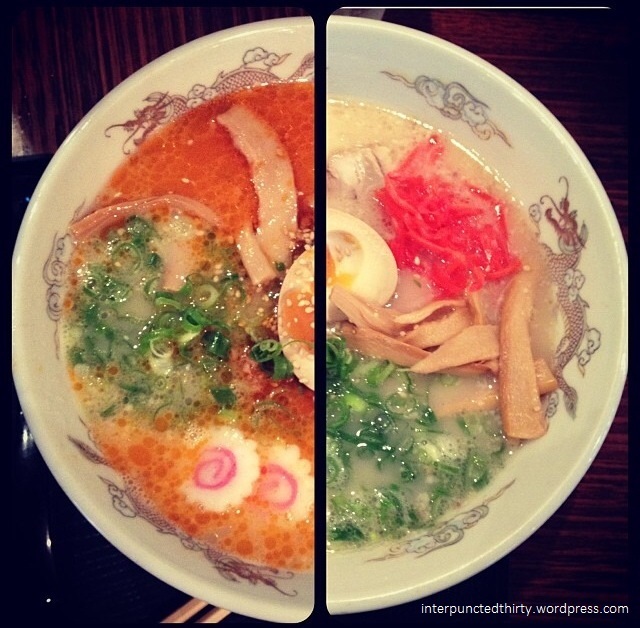 So I now present to you my preferences of ramen both in Brisbane and Sydney. If you’re expecting some long, intricately detailed, adjective embellished explanation of each place/ramen, think again! I’m not a food expert, I just have epicurean tastes, even in street food :) Browse the pictures and be inspired to try them out! 1. 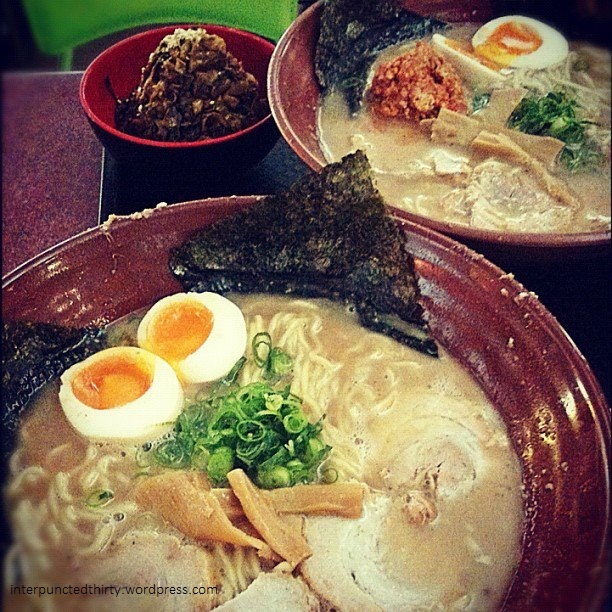 Taro: 363 Adelaide St BRISBANE QLD Open 1130-1500, 1730-2100 approx. $15+ extra for toppings and extra pork. What is not to love about this place? Well, some may argue the price of ramen, but still, slow-cooked Bangalow sweetpork broth and Hakata style thin handmade noodles. 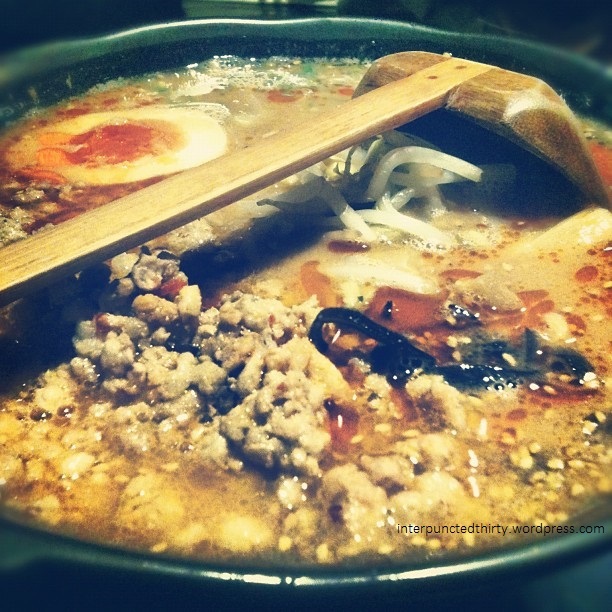 Oh my goodness, this ramen tops my list every time! And always gets a visit when I’m back in Brisbane. 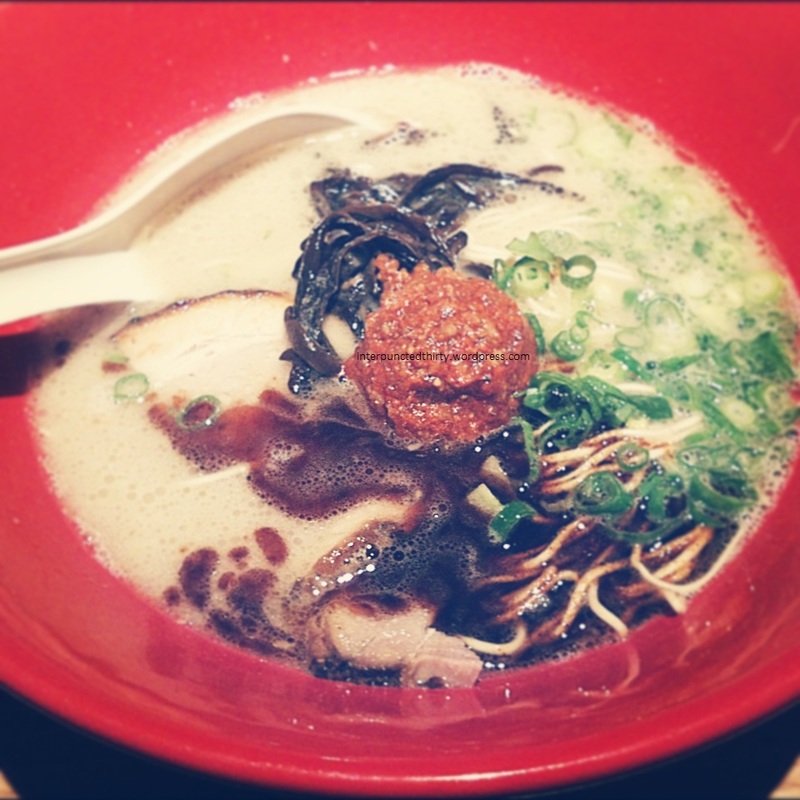 The chef, Taro, knows his ramen, and knows how to make it well! 2. Gumshara: 211/25-29 Dixon St HAYMARKET NSW Open 1130-2100 approx. $13 per bowl, $2+ for extra toppings and condiments. NOTE: Slow cooked pork brothy goodness. 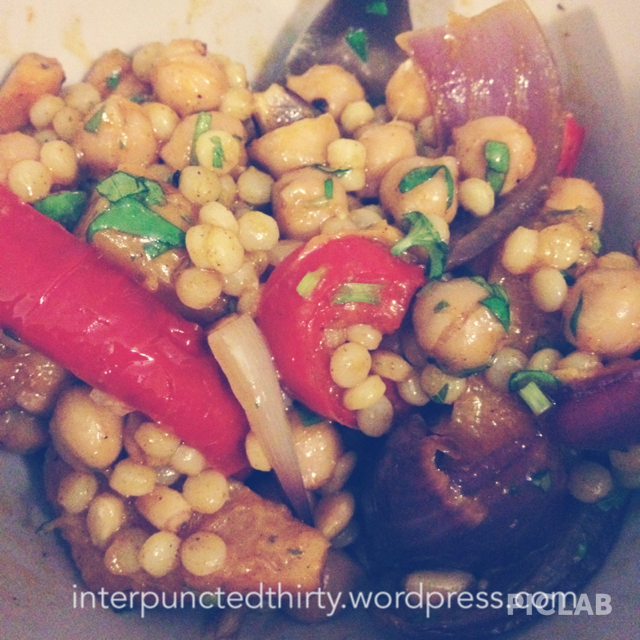 Seriously so much rich flavours in this dish, ask for it to be thinned down. It still tastes so delicious! 4. 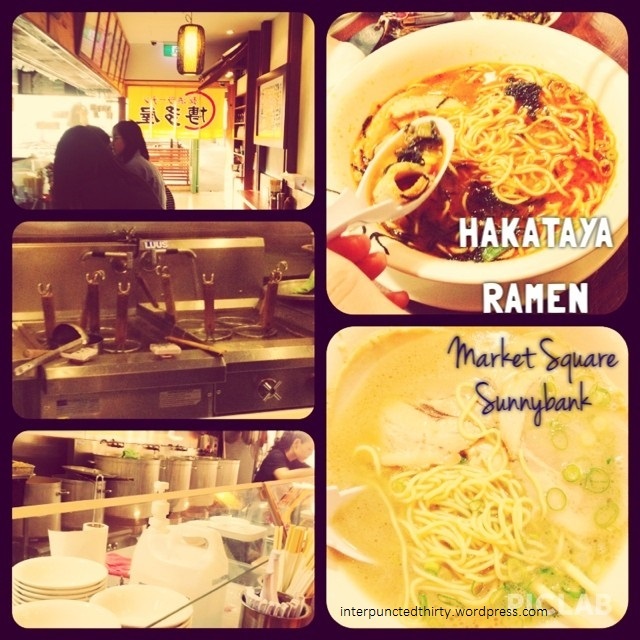 Menya: Shop 2, 1 Market St SYDNEY NSW Open 1200-1500, 1800-2200 approx. $14+ per bowl. 6. 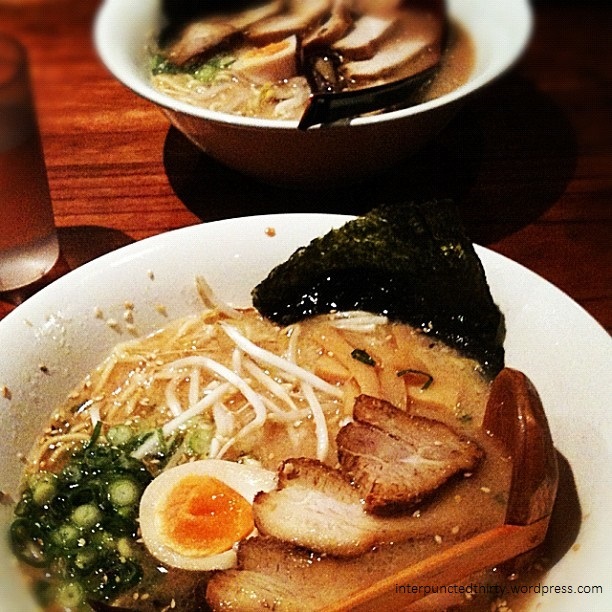 Ryo’s Noodles: 125 Falcon St NORTH SYDNEY Open 1200-1400, 1700-2100 approx. $10+ per bowl, $2+ for extra toppings and condiments, other Japanese food available. Sorry, no picture available. It was deleted in the great iPhone reformatting debacle. N.B. This post was by no means endorsed by any of the above mentioned establishments. This is purely for my love of ramen. Happy eatings everyone! What’s for your dinner tonight?